Welcome to And finally, the place where we round up the rumblings, rumours and unsubstantiated stories of the week – throwing off the shackles of journalistic responsibility for one day only. Hey, they don't call Sundays the day of rest for no reason. This week we have more information on the Xiaomi Mi Band 4, some tidbits on the Apple AirPower and some smaller stories from around the world of wearable tech. 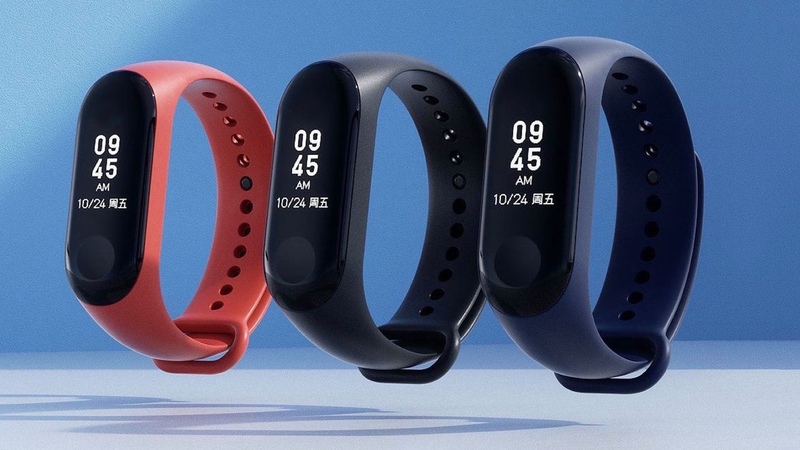 We revealed that the Xiaomi Mi Band 4 was being prepped for a 2019 release earlier this month, and now it’s popped up again for Bluetooth certification, which has revealed some tasty details. There are set to be two versions of the Mi Band 4 – one with NFC support (XMSH08HM) and one without (XMSH07HM) – says TechRadar. Xiaomi added NFC to a special edition of its Mi Band 3 to unlock contactless payments and the ability to use the wearable as a virtual access card. But it's the report that it could potentially match the Apple Watch by including an ECG sensor that is the most interesting piece of information here. In an Xiaomi earnings call earlier this month, David Cui, Chief Financial Officer at Huami confirmed that the Mi Band 4 was ready, but the Mi Band 3 was selling too well to be replaced. However, he said that as with all previous Mi Band updates, the fourth generation would bring new features while honouring the low price of its predecessors. Watch this space and check out our guide to the best fitness trackers. Oh the mystery of AirPower, the charging base that’s designed to wirelessly power up your iDevices, including iPhone, Apple Watch and AirPods. You wouldn’t think the creation of a QI charging base would be that difficult, but Apple announced it back in 2017 – and over 500 days later, it's still missing in action. However, some new imagery found on the Australian Apple website and uncovered by 9to5Mac shows that some work is still being done. Those eagle-eyed Apple experts noticed that the iPhone – which is used to show the power level of all devices being charged – has changed in design, with the removal of the time on the charge. The AirPower is fast becoming something of a meme in tech – the product Apple couldn’t get right. But now we have new AirPods 2 with QI wireless charging, it looks like it will finally see the light of day. A new power strap for Apple Watch has launched on Kickstarter, boasting the ability to power your smartwatch for an extra 27 hours. The 600mAh battery is hidden within the strap, and while it still looks a little chunky (and that’s generous), it’s a little smaller than similar projects that have come and gone over the years. It’s also IP68 water-resistant, capable of being submerged in 1.5 metres of water. It’s on Kickstarter now for priced at $48 for early birds. Garmin has launched three new colourways for its Instinct outdoor watch. The cut-price GPS hiking watch now comes in sea foam (grey), lakeside blue (blue) and sunburst (orange). They’re certainly on-trend and a big step up from the rather bland original Instinct. Check out our guide to the best outdoors GPS watches, and don’t forget to read our full Garmin Instinct review. Spoiler: we rather liked it. If you’re around Chicago between now and May 2020, be sure to check out Wired To Wear, a new wearable tech exhibition that examines the future of the technology. The exhibition looks at cutting-edge wearables and future innovations from Dainese, Google, Intel, Microsoft, NASA and Gravity Industries. "Wearable technology has been steadily gaining momentum for years and is on the cusp of taking hold in mainstream society. We believe this is the absolute right time to show people the innovation underway and help our guests understand why their closet will look radically different in only a few years," said David Mosena, president and chief executive officer of the Museum of Science and Industry. Wired to Wear runs at MSI until May 2020. It’s $12 for adults and seniors, and $9 for children ages 3-11.